The network is made up ofseven existing institutions in England, Scotland and Wales. They include TheScreen Academy at the National Film & Television School, the Screen Academyat Napier University and Edinburgh College of Art and the Film Business Academyat Cass Business School, which will offer the first ever film MBA (see fulllist below). UIP chief and Skillset deputy chairStewart Till hosted the event and said that at a time when media and filmcourses had proliferated around the UK, the seven selected academies in thenetwork would represent a 'gold standard kite mark' in terms of the filmtraining and education they provide. "They are signposted, easily identifiedcentres of excellence," he said. The seven academies have beenendorsed by the industry as providing the best education and skills developmentfor the future film workforce. The network provides courses covering the fullrange of jobs in the industry from craft and technical grades through tomanagement and design. The Screen Academies willshare £4.3m of funding over two years from the Skillset Film Skills Fund. TheFilm Business Academy will receive £1m in funding over two years. One of the new members of the network - the London Film School - said today that the funding package will enable it to offer a substantial number of new bursaries to UK students, launch new courses and instigate a pan-European exchange programme. As a result of theirmembership of the network, the institutions will also be able to leverageadditional funding support from national bodies such as the Higher EducationFunding Council of England. Two government ministers -James Purnell, minister for film, and Phil Hope, Parliamentary Under Secretaryof State for Lifelong Learning - were on hand for the launch, held at CassBusiness School. 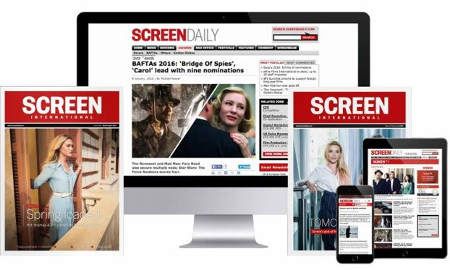 Purnell commented: "The ScreenAcademy Network is an outstanding achievement for Skillset and great news forthe film industry. It puts the UK right at the forefront in terms of filmskills development and goes a long way towards ensuring the long term successand sustainability of our film industry." The UK wide network is a keypart of A Bigger Future, the UK Film Skills Strategy, a joint Skillset and UKFilm Council initiative to boost skills, training and diversity in theindustry. The final decision aboutwhich institutions form part of the network was made by a Screen Academy Panelwhich was chaired by Till and included Lord David Puttnam, Anthony Minghella,Cinesite chief Colin Brown and producer Iain Smith. *At the event, Hale said thatthe government should be making an announcement in the next few weeks aboutmoves to make the Skills Investment Fund (SIF) a mandatory payment forproductions. SIF is currently a voluntary contribution by productions of 0.5%of their budget which is earmarked for industry training. - The Screen Academy at theArts Institute Bournemouth & Bournemouth Media School. - The Screen Academy atLondon College of Communication / UAL and Ealing Institute of Media / EHWLC. - The Screen Academy atNapier University & Edinburgh College of Art. - The Screen Academy at TheFilm Academy (University of Glamorgan) & International Film School Wales(University of Wales Newport). - The Screen Academy at theLondon Film School. - The Screen Academy at theNational Film & Television School. - The Film Business Academyat Cass Business School.